Tardif Diesel offers short-term truck rental services for all your replacement needs or short duration peak periods. 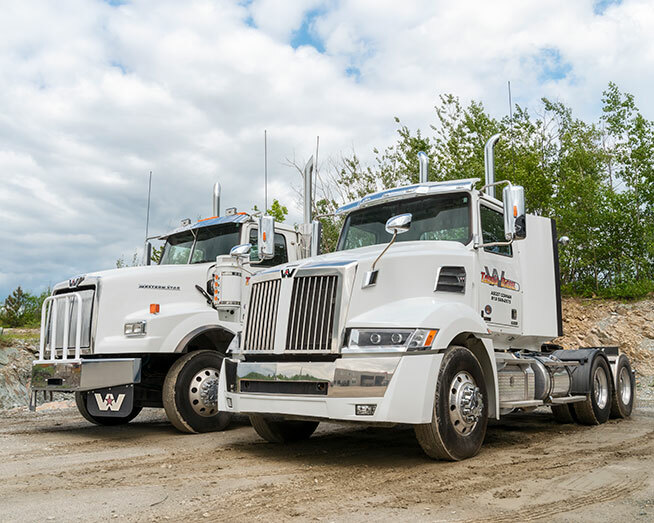 Our rental services offer new tractor day cabs, with manual or automatic transmission, equipped with anti-rollover system for hazmat tanker, along with an IRP permit for operating in other Canadian provinces. To learn more about our daily, weekly, or monthly rental programs, please contact us at 819 569-2575. 24/7 Roadside Assistance Service. We have two full equipped mobile units to help you at any time.